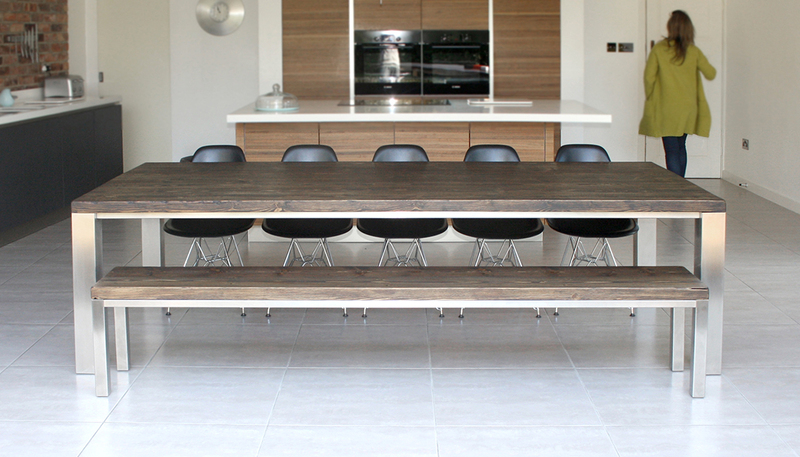 Unique, practical, contemporary dining tables in ash, oak, reclaimed wood, copper, zinc and Dekton – tailor made for each client. Mac+Wood create stunning dining tables that can support the diversity of lifestyles drawn to Mac+Wood, from bachelor to extended family. They are strong enough to withstand the test of time. 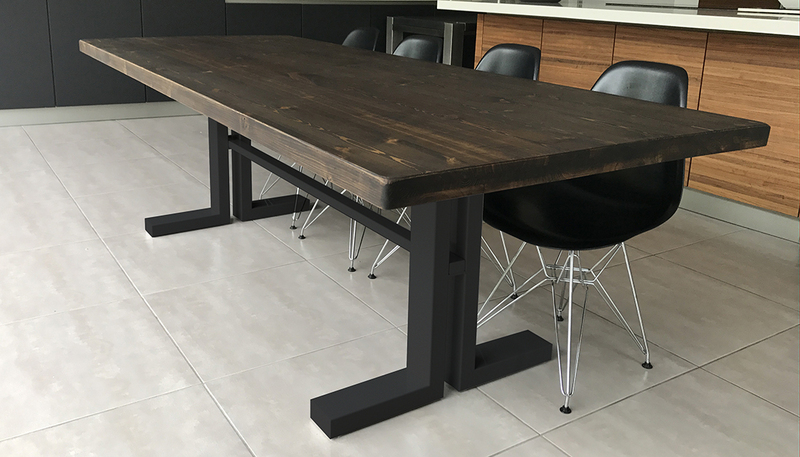 Combining sturdy materials – ash, character oak, reclaimed wood, copper, zinc and Dekton – with stylish design, our dining tables are made to last. We believe the essence of a good dining table is the memories you can make around it. That’s why every one of our designs combines bold, unique looks with hard-wearing, practical materials. Our experienced craftsmen, create each table top and frame by hand to guarantee its durability and quality. Through a rigorous selection process, our team ensure that each table is made of materials strong enough to withstand the stresses of daily life whilst maintaining their elegant aesthetic. That goes for all our materials – whether it’s an ash dining table, an oak dining table or a copper dining table, our furniture is built to last. 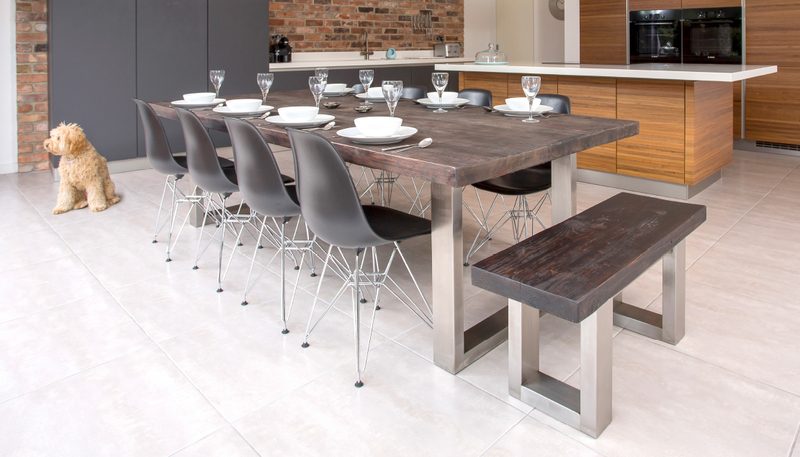 Every dining table we make is handcrafted from raw materials, so it can be completely personalised to fit your requirements. In fact, our production process starts with you. When you place your order, we’ll guide you through a quick and easy customisation process where you can select your design, material, size (by number of guests) and finish. If you have any specialist needs, we’ll incorporate them into the design. 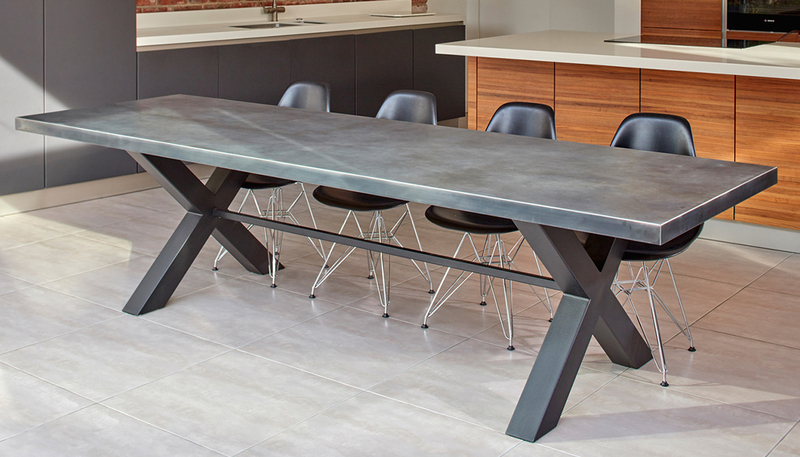 Our zinc dining table, for example, comes in a range of patina styles while our reclaimed wood dining table is available in a selection of shades. 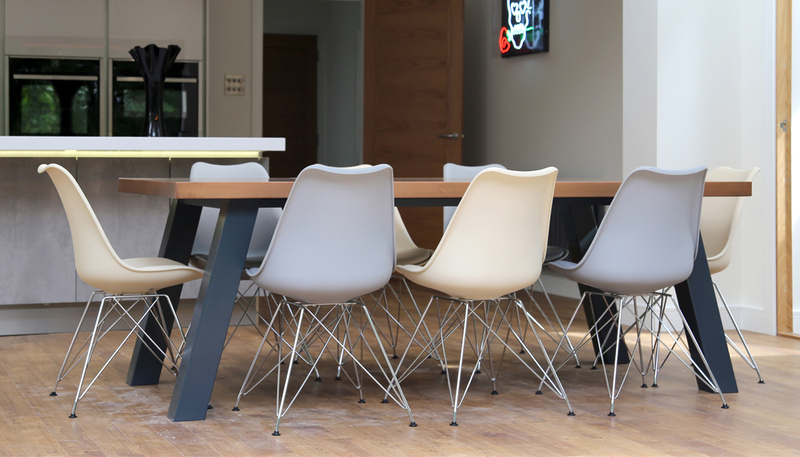 Once we’ve confirmed your order, we’ll get to work creating your new table from scratch. When it’s ready, we’ll deliver the finished product to your door. There is no assembly required – a Mac+Wood table is an instant centrepiece. 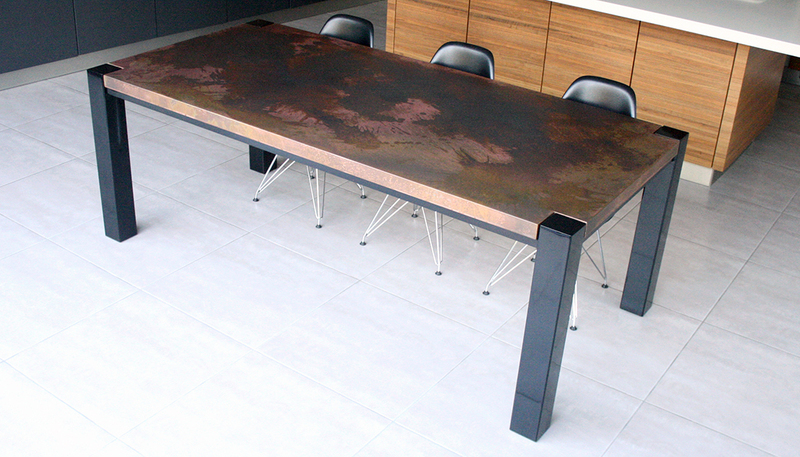 From the rustic warmth of reclaimed wood and the powerful, compelling hues of copper to the enigmatic shadows of zinc and the brightness of a bold Dekton, our dining tables blend tastefully into home décor.